If you need a LM-D702 500MB Panasonic ReWritable Optical Disk Cartridge File Transfer service, then contact our friendly company. LM-D702 500MB Panasonic ReWritable Optical Disk Cartridge File Transfer. 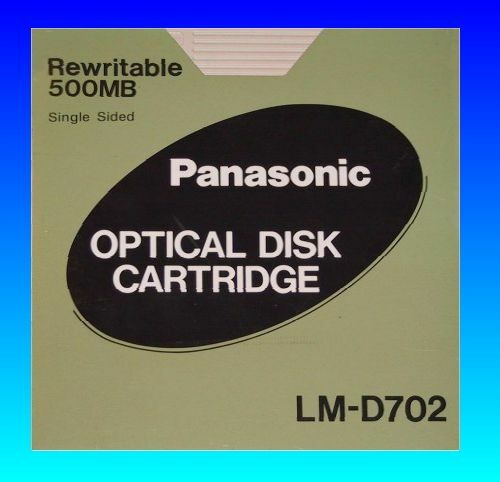 The 5.25 inch disk is contained in a sleeve with black oval graphic and represents the second highest capacity in the Panasonic range of LM cartridges.